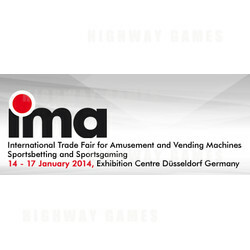 Only trade show in Germany for the amusement industry – Be part of it! As the annual meeting point of the industry, IMA is a must attend event for manufacturers, resellers and users. Once a year the family of the amusement industry meets in Düsseldorf and guarantees to meet the right people and to develop your business. betting, accessories, security, furnishings, decorations and vending machines.